I coach clients to learn how to make decisions that are authentic for their life. Once this skill has been mastered, their life changes. Period. I use the scientific tool of differentiation. I love to hear the word WOW from clients, friends, employees and random strangers for that matter. I am living the life of the Sphinx and I give direction to people as quickly as possible and send them on their way. In other words, I don't mince words and I don't plan to be talking to someone for hours to get the point embedded in their soul. I am also geared with creativity so a lot of the ideas that I have in life are unique. For example when my kids were 10 to 15 and we went clothes shopping, I took a lawn chair and placed it at the front of the store where I could see the kids and I sat in it while they went and gathered clothes that they liked. Some shoppers would stare with shock but would secretly and sometimes openly wish they had brought their chair. These tactics are common for my life. For the last 17 years, I have owned and operated a real estate brokerage. Basically I have delegated tasks, taught skills and kept humans sane. As a result of the business model, hard work and good fortune, I have been the #1 real estate agent in the U.S. for retail sales, the last 4 out of 5 years. Although my skills of leading, hiring and managing people are good, I have constantly learned skills that enhance the ease in which I can influence people. In the last few years, I have learned another skill set that I have successfully used to make my tribe aware of their natural talents, their desires and most importantly how to make decisions that will impact their life. I call this skill set Fertilizing the Human to Make Them Bloom. Once you know how to make a decision, understand your strengths and gather some cautionary tales about your life and how to rapidly change the course that is causing pain, the rest of your life becomes simple to manage. I do believe in meditation, prosperity, laughter, growth, love, joy and family. It is our choice to choose Suffering or a Beautiful State. Let me show you how and I promise you will say WOW and Thank You! Have you worked with Rhonda? Tell your friends! Rhonda Duffy has been my coach and mentor for 14+ years. I have learned so much about myself working with her. Not only is she the smartest business woman I have ever met, but she also has an uncanny ability to see through you. She gives guidance and coaching based on your strengths and weaknesses. Her coaching has helped me to achieve outstanding results in my professional life. If you are looking for a coach, Rhonda is an excellent choice! 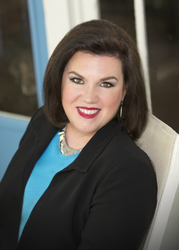 Melissa B.
Rhonda Duffy has the rare ability, specialized training, and passion to push beyond the traditional coaching models and provide individualized advice and guidance. Her approach deals with the whole person both personally and professionally. She will open your eyes to facets of yourself that you did not know existed and help you discover talents that will take you to whatever level you desire in your life. Caroline G.
Creating Coaching by design is what Rhonda does best. Many good coaches can follow programs, however, Great Coaches invent winning formulas, and by doing so create new directions and new ideas. Rhonda is a Maverick and a Catalyst and a well-deserved Creator. She changed the fate of Real Estate when many others abandoned the trade during the recession. She is never afraid to try something new. If you are not afraid of Success and you are coachable, then choose Rhonda Duffy as your coach. Michael B.
Rhonda Duffy has changed my life for the better by coaching me over the last 12 years. She is incredibly generous with her time, always willing to share the things she has learned along the way as she pushes you to become better yourself. She's a very creative person, always thinking outside the box. I never miss an opportunity to spend time with Rhonda whenever possible so that I can take in whatever new golden nuggets she has to share. Don G.
I can say without a shadow of doubt, Rhonda has helped mold me into the success that I have today. Standing on the other side of a lot of the advice she has given me, I can tell you that it will sting, it will push against your boundaries and shatter your walls. It will be uncomfortable but necessary. You will come out the other side aware of the reason behind every move you make and every thought you think. It opens up another world of living and it brings certainty, self love and peace. Meagan D.
I saw the change in my industry and I knew that I had to adapt in order to thrive. I turned to Rhonda who opened the doors of my mind and showed me what was possible. Her insight, straightforward talk and her natural ability to bring the best of out of everyone put me on the path to being one of the top-rated Realtors in the country. Simon M.
Leave the old one-on-one interviews in the past, the quickest way to hire quality people for your tribe is efficient, solid and clever. Did You Know... We All Have A Different Business Success Formula? We all have a unique & authentic Business Success Formula that lies waiting in us to be used. The key is understanding what it is and how to use it.